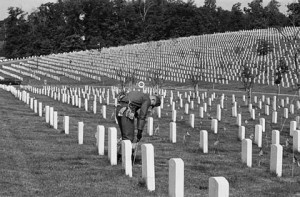 My mom sent me this MSN piece on some really cool American cemeteries. In case you’re curious, my mom sends me lots of articles about death, dying, and dead bodies. She also sends me articles on tattooing but that’s another story. I will be in Washington, D.C. next week and I plan on visiting Arlington National Cemetery. In fact, I think that it’s important for people to visit cemeteries all the time. Walk around the grounds, touch the stones, and just listen to the silence. I find cemetery visits exceptionally relaxing. This might be a little too Harold and Maude for some people but so it goes. Posted by John in Cemeteries, Death + Art / Architecture, Monuments + Memorials and tagged tours. Bookmark the permalink.